The Towers in Emeryville are perched on the waterfront in San Francisco’s East Bay. The office complex consists of three buildings and a parking garage. 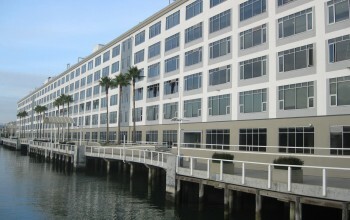 The office towers include two twelve-story buildings and a sixteen-story building with exceptional views of San Francisco Bay. Site amenities include a conference center, health club, full-service bank, restaurants, and car wash.
MHP conducted structural and seismic evaluations of the campus during acquisition, advising the purchaser on geotechnical, seismic, and structural condition issues. MHP continued consultation with the buyer during their recent disposition of the project, and re-positioning of assets to new projects.